This portable USB hub expands your laptop or desktop connectivity by adding four USB 2.0 (Type-A) ports through a single USB Type-C™ or Thunderbolt™ 3 port. And, because it’s USB bus-powered, you don’t need to connect an external power adapter, which makes travel more convenient and workstations less cluttered. 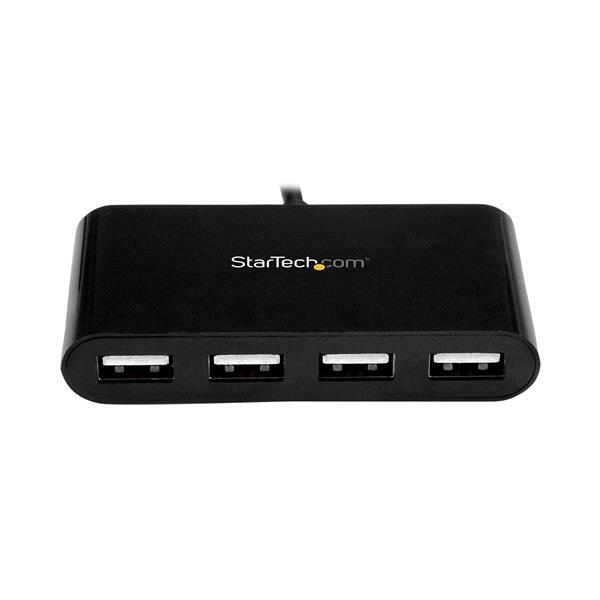 With its compact and lightweight construction, this 4-port USB hub is designed for mobility. You can easily tuck it into your laptop bag when you're traveling, which makes it easy to expand your connection options almost anywhere you need to. 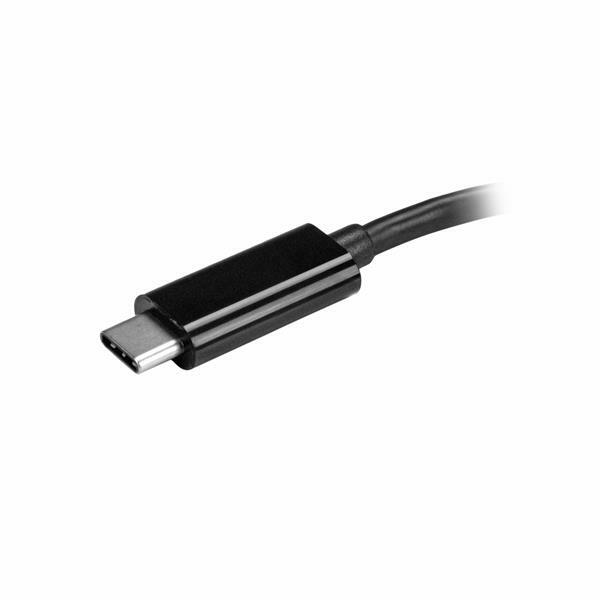 It’s perfect for connecting common USB devices such as a mouse, keyboard, or flash drive, right when you need them. The hub takes up minimal desk space and fits perfectly in hot-desk or BYOD environments. 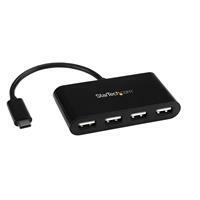 This USB 2.0 hub will work with a wide range of computers because it requires no additional software or drivers. 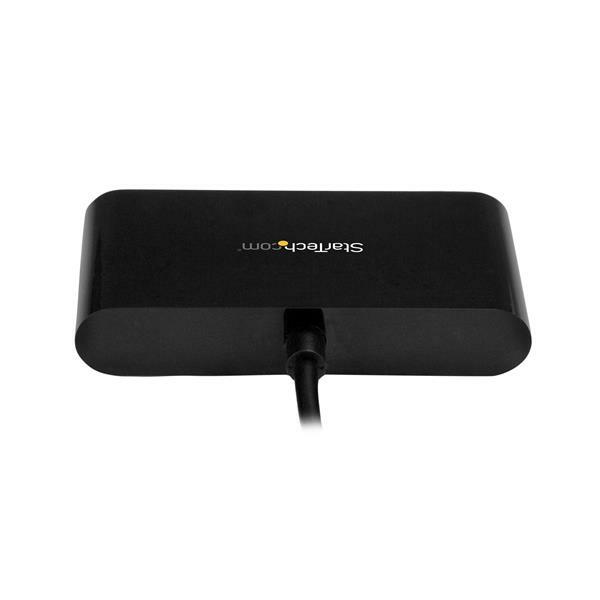 It installs automatically when you connect it to your laptop or desktop, so you can be up and running quickly. It also works with a range of operating systems such as Windows®, macOS, Linux® and Chrome OS™, so it’s multi-platform compatible. 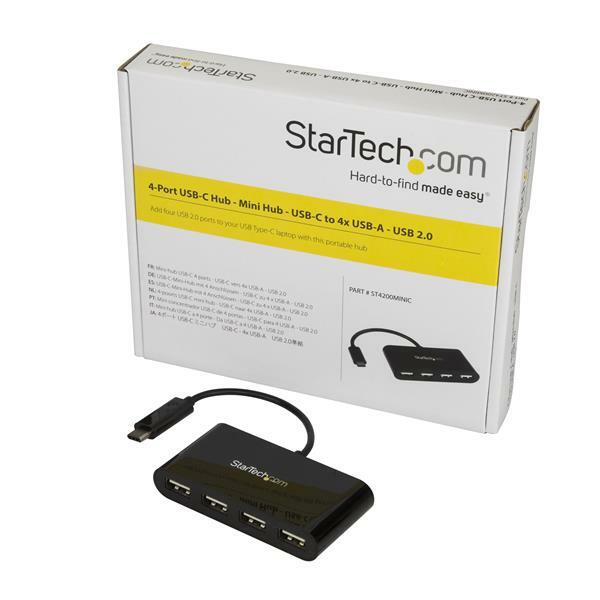 The ST4200MINIC is backed by a StarTech.com 2-year warranty and free lifetime technical support.